SiteBuilder is a website publishing tool that allows you to create and manage your website with ease. SiteBuilder’s intuitive wizard-style interface allows anyone to build a professional website using the latest drag and drop technology. Your website design is fully customisable, no design skills or coding needed. Once complete, your website is immediately available on the Internet and can be edited afterwards. See how easy it is to build your own Website using New Woza Online's SiteBuilder with this 1 Minute Introduction. See how easy it is to build your own Website using New Woza Online's SiteBuilder with this 5 Minute Tutorial. You can now have a Static Background image for your website. Our website builder makes it simple for you to create a website. Build Your First Responsive Website in a Few Minutes using New Woza Online's SiteBuilder. Our website builder makes it simple for you to create a website. See how easy it is to build your own Website using New Woza Online's SiteBuilder with this Drag & Drop Functionality. Our website builder makes it simple for you to create a website. Import any Website in a Few Minutes using New Woza Online's SiteBuilder. Our website builder makes it simple for you to create a website. 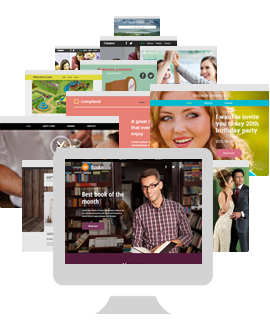 SiteBuilder starts you off with a selection of professionally-designed templates that are flexible and easy to change. Simply drag & drop elements where you want them, change colours, fonts and images, all at the click of a mouse. Changing the content is easy too, and you can make edits to your site whenever you choose at no additional cost. 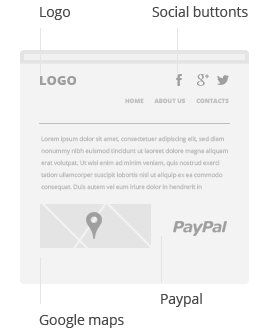 Widgets are pre-built functions and design elements that you’re able to integrate seamlessly into your website, e.g. if you’d like to offer visitors to your website a map with driving directions, simply drag the corresponding widget into the website and configure it by entering your address. Using SiteBuilder will overwrite your existing website. It is important to ensure that you have a backup of your existing site before creating a SiteBuilder website. SiteBuilder has a number of widgets that are served from various locations around the world. This may impact the speed of these widgets on your website. Our SiteBuilder is integrated into existing hosting packages and relies on specialised server software. Should you decide to host elsewhere, it will not be possible to transfer your SiteBuilder-created website. Should you decide to terminate your SiteBuilder package, your SiteBuilder account will be removed from our database and your SiteBuilder website will be inaccessible to you. You will also lose features and functionalities of the site. Please ensure that you have a separate backup of the images and content used on your SiteBuilder website. We makes use of third-party software, designed to make creating and maintaining a website fast and simple. The SiteBuilder wizard is therefore standardised with templates and widgets and as such we are unable to customise the tool to accommodate customer requests. We do ensure that backup procedures are in place for all websites created by our SiteBuilder tool. The SiteBuilder tool has ‘undo’ functions which enables you to revoke changes in each step of the process. In addition, your changes need to be confirmed by you before proceeding. These steps should ensure that customers are conscious of their changes and are making an informed decision throughout the process.